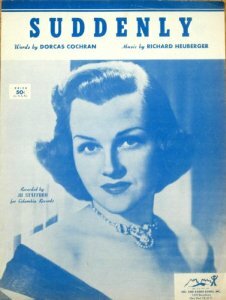 Jo Stafford made one of the first recordings of “Suddenly” with the Norman Luboff Choir. “Suddenly” was recorded on November 12, 1959 and was released in 1960 on the album To My Wonderful One. It was arranged by Frank DeVol.